There are many reasons one could argue that the PC is the best way to play video games: Better visuals, cheaper and more interesting games, a wide-open platform, and so on. But one of the best arguments for PC gaming is simple: The massive back-catalogue. No other gaming platform can field a game library that can compete with PC's in terms of sheer volume. 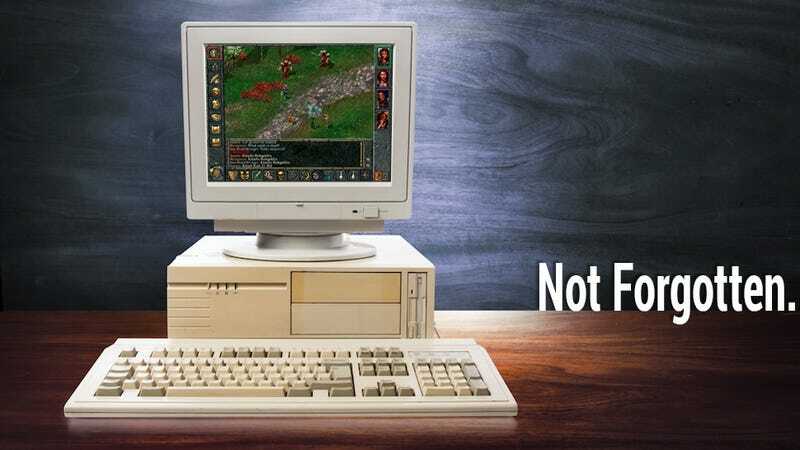 The PC boasts more than 20 years' worth of video games, most of which are still playable on modern PCs, given a tweak or two. Now, it's time to put all of the best classic PC games in one place. Rather than approach this like a Kotaku Bests list, I thought we'd try something different—turn it over to you, as well as our other Kotaku editors, to create one superlist to unite them all. First, a few ground rules. I'd love to make this into a list that reflects the taste of the Kotaku readership in the best, most readable way possible, so let's all follow the same format. In addition, you can find general tips and techniques for Kotaku commenting here. 1. Only games from 2003 and earlier. The last ten years is still too current to qualify for a "classics" list. Hey, we had to draw the line somewhere! 2. Please don't leave non-entry, direct comments on this post. They'll just get pushed down. Save your comments for others' submissions. 3. All entries must be legally purchasable. We'd prefer you include games that are easily available digitally, but if you must include a game that is difficult to find, link to the eBay and Half.com pages (or similar sites) to help people find cheap used copies. Any comments linking to torrent/piracy sites will be removed. Why: Explain why the game is great. Make your case! Try to keep it to a single paragraph, maybe two. Feel free to include a video example, if that helps. Where you can get it: Put all the places you can get a copy, with a link if possible. eBay, Half.com, other places for used copies of games that aren't available digitally. Tips for modern machines: Lots of classic games have a few tweaks that'll make them run better on modern machines. Include those here, along with any links to forum posts summing up which patches to include. Links to HD mods, other user-created fixes and content are also great! When in doubt, check the entries that our writers have done. They should all be in the proper format. Okay, let's make a megalist for the ages. What are the classic PC games everyone must play? UPDATE: For a complete alphabetical directory of all the entries on this list, go here.